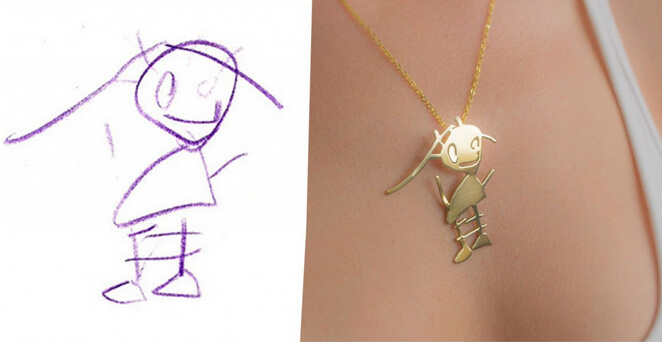 Two Turkish artists have come up with an innovative way to preserve your children’s artwork – by turning them into unique pieces of jewellery. 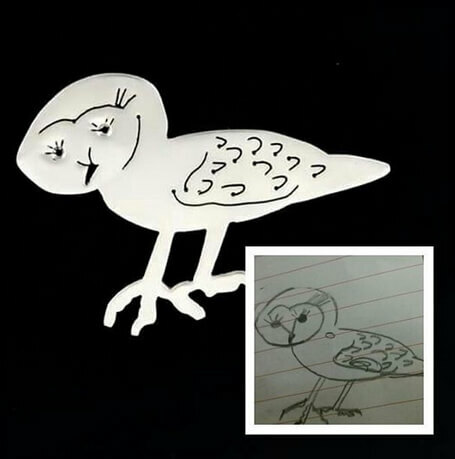 Istanbul-based mums Yasemin Erdin Tavukçu and Ozgur Karavit both believe in the importance of encouraging kids to draw and express themselves through art. And they know how parents treasure their children’s early random squiggles. 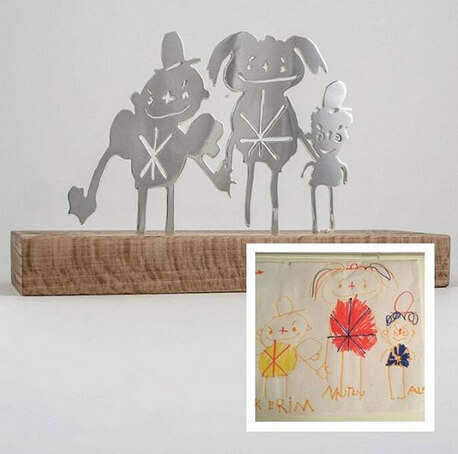 Through their company Tasarim Takarim, they turn what comes out of children’s vivid imaginations into surprisingly beautiful pieces of jewellery. 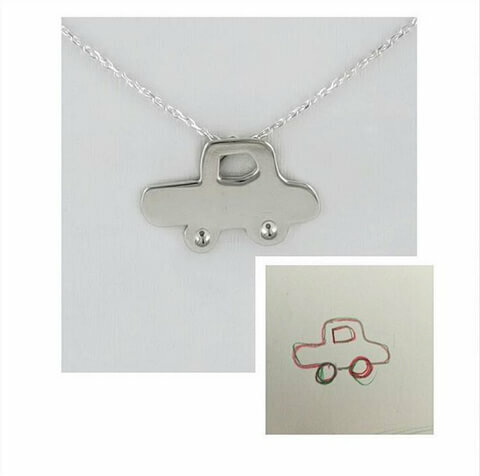 In other words, if you’re after a totally unique piece, just get your kid to design it. You order your own custom-made piece of jewellery via their Etsy shop.